There's some great things happening this week at Fenway Park, especially Bruins Night and FenwaYoga! 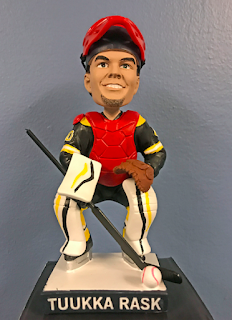 The Red Sox will host “Bruins Night” on September 12th, and fans who purchase the special event ticket will receive a limited edition Red Sox Tuukka Rask co-branded bobblehead. On-field, fans will enjoy a special pre-game ceremony honoring the Bruins in advance of their 2017-2018 season. The first 12,000 fans to the game on Wednesday will receive a Xander Bogaerts Gnome, courtesy of Toyo Tires! 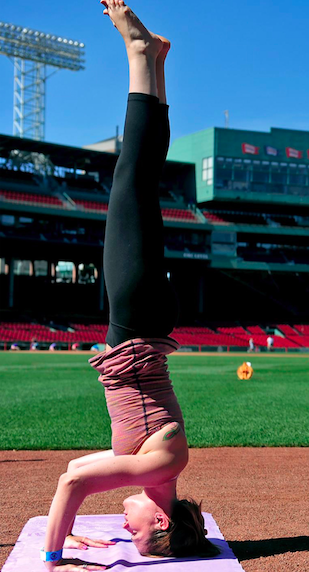 On Thursday, September 14th, the Sox will host a FenwaYoga class led by the experts at CorePower Yoga on the warning track of Fenway Park following the afternoon Sox game. Tickets include a ticket to the 1:35 game, plus access to the yoga class following the game. If you're looking for a fun thing to do with the kids or just want to relive your childhood, the SoxShowcase will be at Faneuil Hall and you can play games and even take batting practice. It's a lot of fun! NOTE: I am providing this information as I am a member of the Red Sox Parents Blogger initiative.